This award-winning “business humor with a purpose” book provides the ultimate “learn through laughter” experience for sales and service professionals. 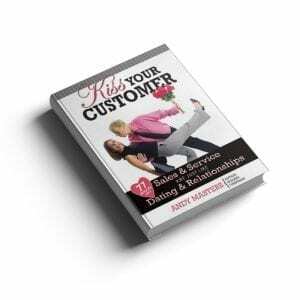 Andy Masters takes the reader on a journey through the highs-and-lows world of relationship-building, utilizing the clever irony between business and romance. Andy’s creative and insightful spin on proven principles impact sales and improve customer loyalty, while also enhancing our personal lives. Enjoy this entertaining treat. This Enhanced 2nd edition book provides career advice and resources for that difficult transition from college to the real world. Key book topics include: Career decisions, networking, time management, organization skills, and strategic career planning. 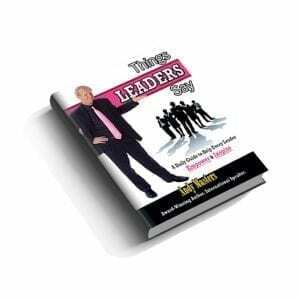 Perhaps the most valuable portions of the book are critical mistakes young professionals must avoid, such as dealing with office politics, professionalism and maturity, drugs/alcohol in the workplace, ethics, etiquette, dating in the workplace, and sexual harassment. Great for college Juniors/Seniors, recent graduates, or young professionals! For volume discounts of Andy’s books for your event or organization, please contact Andy’s office directly at (407) 595-5838 or email andy@andy-masters.com.